The evidence acts of a number of states of Australia can be traced to the Indian Evidence Ordinance of 1871. The draftsman of that ordinance was Justice Stevens who later became a Justice of the High Court of England. 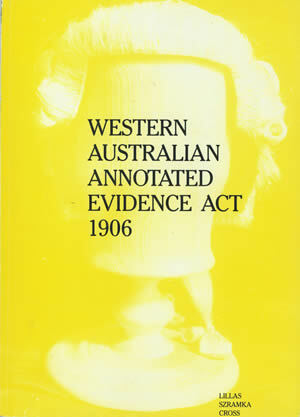 Stevens was an eminent English jurist and in addition to attempting to codify the law of evidence was also the drafter of Stevens Criminal Code, his depth of knowledge likely explains the longevity the Western Australian Evidence Act has enjoyed.